My trusty Ticonderogas, before and after a WSET Exam. My WSET Diploma Sparkling Wine exam is officially in the books. Three exams down, three to go (knock on wood). It feels weird not to be studying several hours a day. I’m not sure what to do with myself. I should probably start with some laundry. There are two kinds of sparkling wine in this world. Champagne and Not-Champagne. Over the past couple of months, I tasted (what felt like) an ocean of sparkling wines. And most of them were really, really good. Outstanding, even. But they aren’t Champagne. Only Champagne is Champagne. There’s no other way to explain it. I totally get that now. Grower Champagne is all that and a bag of chips. In contrast to the consistent, blended styles of the big houses of Champagne (think Moët & Chandon), grower Champagne is made by the same folks who grow the grapes. There’s a huge difference between tasting and drinking. Tasting is business, drinking is pleasure. Low-end Sekt is not good. I have no idea why Germans are so ga-ga for this stuff. My jury is still out on sparkling Shiraz. That said, it is really freaking good with pizza. The world needs more good Lambrusco. Not Riunite-On-Ice Lambrusco, good Lambrusco. It is impossible to pronounce Pusieulieux (one of the Grand Cru villages of Champagne) unless you are French. I finally answered the question, “When am I ever going to use the metric system?” I wish I could go back in time and learn the metric system from the start. Because flipping back and forth between tons, tonnes, and hectoliters hurts my middle aged brain. 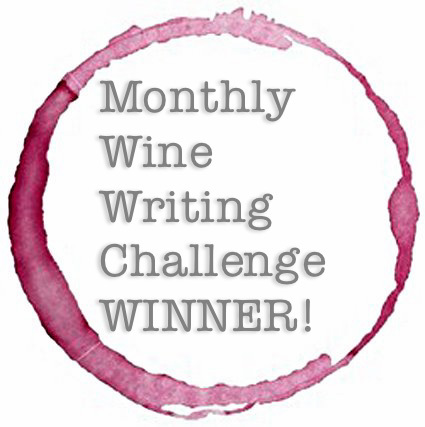 The next step in my WSET Diploma journey is right up my alley — a monster research paper. The topic is Cognac: Past, Present and Future. I’m all over this. Let the research begin. Wonderful insights, I can’t wait until I can make time for the diploma challenge. There really is no substitute for tasting (and drinking), we drink our fair share of sparkling wines and Champagne but I haven’t yet felt I truly understand Champagne. Sure, compared to other sparklers, but within the realm of Champagne. Thanks for posting this and I look forward to following your diploma adventures.Cheers! Thanks, Jeff . 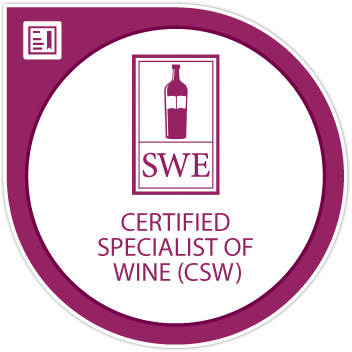 . . it’s a saga of a journey, this WSET Diploma. But it’ll be worth all the hours of studying and tasting at the end!! Cheers! The Cava bar is inching ever higher, both in terms of quality and price! Thanks for stopping by and taking the time to comment. How exciting that you got to visit Champagne for your somm training! Cheers!! I get the whole study thing…I’m always at a loss after an exam too! But, I’m at it again…it only stops for a short time! Congrats on all your success thus far! Oh and yes…I’m all over Lambrusco…I drink and sell copious amounts of it, as should everyone else! Do you get Medici Ermite or Paltrinieri? Quality for sure, and the people who make it are lovely as well! My wine store has absolutely zippy for good Lambrusco . . . I’ll look for these guys on Winesearcher.com. Thanks for the tips!! Cheers! What’s next for you? MW? Oh dear no! There’s nothing I can do as an MW that I don’t already do. I’ve got my eye on the Italian wine Expert designation. Was oh so close in SF in October but alas I must write the exam again! Salute Kirsten! I’m planning to embark on the Diploma “adventure” next Spring and am loving reading about your takeaways. 🙂 Congratulations on your journey so far! Looking forward to reading more about it!! That’s fantastic! It’s a ton of work, but so much fun . . . let me know how it goes when you get started! Cheers! !